LI Limei is an associate professor in the Department of Sociology, East China Normal University, Shanghai. Her research interests include urban housing, migrants and citizenship in Chinese cities. She creates a subscription account on WeChat, “CityReads”, posting notes on city reads in both Chinese and English weekly. Dr. FENG Lu is the founder of Wuyang Architecture. Being the first PhD by design of Architecture Department, Sheffield University, he devotes himself in designing practice and academic researches. Fan Wenbing is associate Chair of the Department of Architecture, Shanghai Jiaotong University; chief architect of Atelier Fan. He has been working on architectural pedagogy, urban renewal, and the domestic architectural design in Contemporary China. 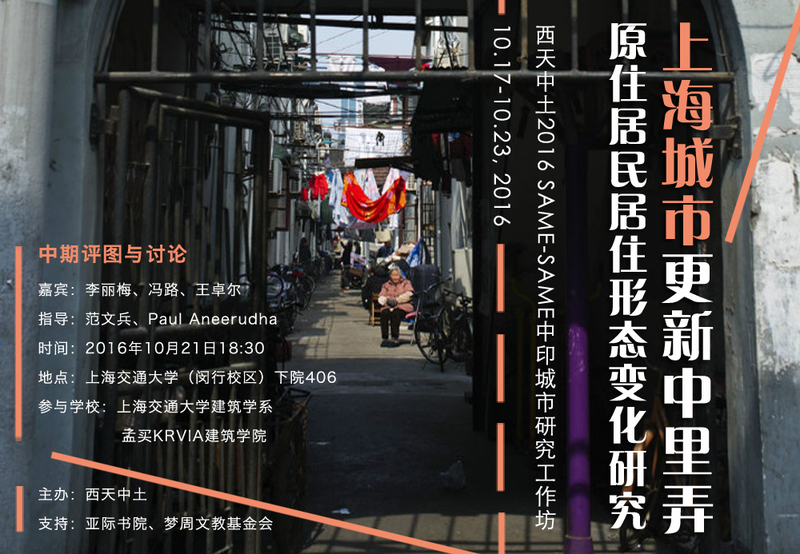 His publications include the Conservation and Renewal of LiLong Housings in Shanghai (2004) and Notes on Architectural Pedagogy (2014). Aneerudha PAUL is presently the Director of the Kamala Raheja Vidyanidhi Institute of Architecture (KRVIA), Mumbai. From 2003 onwards he has been an advisor to the Collective Research Initiatives Trust (CRIT), through which he is presently involved in working with issues of housing and slums in the inner city areas, assisting communities to develop their own plan for their neighborhoods.